Innovation is the quickest, most effective, and most lucrative path to success. Waiting for some other firm to introduce a product first, and then playing catch-up may be fine if you’re IBM or Coca-Cola and you can afford to wait. But such companies are notable exceptions in the game of competition. For the majority of businesses, real success comes from their own efforts and from timing—their ability to be there first, instead of feeding off the ideas of others. So, how does a firm or an individual innovate and think creatively? First, understand that creativity isn’t always about inventing products from scratch. Thousands of successful products or services are used in a radically different manner than originally intended. The creativity is in the new method of application, rather than in the unique nature of the original concept. For example, a creative solution might take the form of redirecting your excess capacity or processes to support your most profitable products or services. Thus, innovation is any creative solution people can use. Innovation is also how you make money from creativity. You sell the idea and show others how to apply it to solve a variety of problems. Solutions might be possible, but are they profitable? Often, you don’t always know until after the fact. Sometimes profitable solutions aren’t developed with the intent of making a profit. For example, take the story of a little girl at her birthday party. Her father was taking photographs, and the girl wanted to see the pictures now. The father thought, “Well, why can’t she see the pictures now?” That father was Edward Land, and his solution was to invent the Polaroid camera. Perhaps we all need to think more like a child and imagine that we can have the picture now. Zoom ahead a few years. We see that Polaroid is now in bankruptcy. The company missed the digital revolution because it forgot about its innovative spirit. How could this happen? One common way is when the upper echelons of the corporation stifle creativity throughout the organization. Centuries ago, kings and other royalty had “yes men” by their sides. But many kings also employed fools, men who had special permission to make fun of and criticize the king’s policies without fear. Present-day CEOs have “yes-men,” but they are in dire need of someone to give them an honest opinion. Someone who can tell those in the royal boardroom that the old ways are no longer effective and innovation is the way to make money. Creativity goes hand-in-hand with the courage to embrace the new and the innovative. Innovation can occur where you least expect it. Imagine a scientist is trying to produce super-glue. He tries and tries, but the glue just doesn’t stick. His product is a complete disaster—or is it? Every office in the world now has glue that doesn’t stick. The scientist, who worked at 3M, had just invented the raw material for the Post-it® Note. And the Post-it Note is now one of the most profitable products at 3M. Even Christopher Columbus, one of the great innovators of his time, couldn’t have been much further from his intended destination of India when he discovered America. But that “disaster” became what we now regard as the land of opportunity. So, even though the results you get might not be what you expected, continue to think innovatively. Disasters can sometimes become rare opportunities, and unintended results could well have a silver lining. Think everywhere. Think when you’re out walking, when you’re in the shower, when you’re listening to a boring speaker. Switch off your mind and think about that problem that’s been bugging you. Don’t bother with contrived brainstorming sessions and working parties because you can’t plan to create on demand. But you can organize your mind to be constantly receptive to new ideas, wherever you are. For example, in 1941, a scientist went hunting with his dog. When the scientist arrived home, he found burrs were stuck to his wool jacket and trousers. The scientist decided to examine the burrs under a microscope and he found hundreds of little hooks engaging the loops in the material. The scientist, George de Mestral, made a machine to duplicate the hooks and loops in nylon. He called his new product “velcro” and the rest is history. Today, thousands of uses for velcro® fasteners exist, all thanks to a man hunting with his dog in the mountains. The only problem with thinking everywhere is you often don’t have a way to record your ideas when they come to you. Then, you forget, someone one else hits on the same idea, and it’s too late. The solution is to keep a pen and paper handy in every room of your home, especially by your bed and near the shower. When you’re driving, use a dictating machine in the car. This way, you can archive your thoughts before you forget them. Chance discoveries don’t really occur by chance. Rather, an environment must be one that allows new ideas to be conceived, recognized for their potential contribution, expanded into tailor-made solutions, and then developed into products for other customers. And, the best way to arrive at innovative solutions is to use innovative thinking. Because genuinely new ideas are hard to come by and difficult to patent, the shortest route to new ideas can be to get them from someone else. Consequently, be alert to the possibility that others might be listening to the new idea you’re sharing with someone. An idle sentencecould provide the missing ingredient to a competitor’s research and development department. Where innovation is concerned, keep quiet and keep your ears open because you, too, might obtain problem-solving ideas from other markets or businesses. In your own office, beware of boastful types. A surprising number of people proudly broadcast details of their firm’s research and innovation. And, those who leak the most information are usually the most senior members. Perhaps one key to successful innovation is skilful ego-massaging. That is, share your ideas, but use caution when choosing with whom you share them. Innovation requires more than creative thinking. Innovation is also dependent on the development of ideas into products and services to keep your company on the creative edge. In the end, your determination to succeed is the ultimate stimulus for achievement. Although many people can come up with innovative concepts, only those who are determined to implement those ideas achieve success. Once you nurture your ideas into being, charge ahead with the innovative spirit that all successful companies possess. Remember, innovation combines effort and timing, our desire to be first. Using this approach, your business has every opportunity to achieve success. 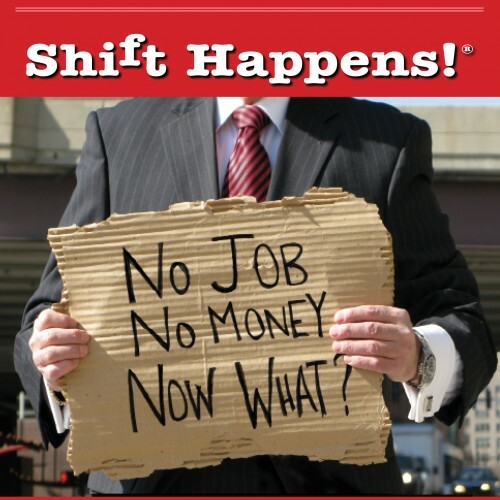 Shift 1. You must truly want to become a creative company. Most important, deep down in your corporate heart of hearts, ask yourself: do you want your staff pestering you with their notions of how to improve the firm or your assistant demonstrating that she has cleverer ideas than you? Think about it. Shift 2. Realize you already have a creative company. You have a staff with creative potential and lots of ideas. Indeed, they are probably sharing great ideas with each other at lunch, over coffee, and after hours. But, unless you actively promote creativity, those ideas are promptly forgotten when the staff return to their desks. You need to set up a safety zone for ideas. In most companies, failure is clearly punished, but success is a vague reward. Companies must create a system of benefits to innovate success and reduce the penalties created for failures. Sharing a genuinely innovative idea is risky. –The idea might be laughed at by people who don't appreciate its value or scorned by those who don't like change. If your people don't trust you completely, they won’t risk sharing the best ideas with you. Good ideas often have tremendous value. If your people don'ttrust you or your organization, they won't want you to benefitfrom their idea. Indeed, a good chance exists they'll start theirown company with the idea. Shift 4. Create a means of communicating ideas across the organization. Everyone should be able to contribute ideas to management and management should take all ideas seriously, no matter who delivered them. This can be done via enterprise idea-management systems like Jenni, developing your own ad hoc idea collection system, or creating a graffiti wall. A graffiti wall is a wall in a central place where anyone in the company can scribble down his or her idea. Shift 6. Ensure that people from all departments can contribute ideas and the development of ideas for all departments. If you assume that only marketing people can have ideas relevant to marketing, you’re certain to get the usual marketing ideas. You'd be surprised about the ideas your people in accounting, human resources, and even the staff canteen will have about marketing. Shift 7. Reward people who give good ideas to the organization. Rewards don't have to be money. They can be additional holiday time, gifts, a certificate from the company recognizing the idea or, at the least, acknowledgement from the CEO himself or herself. Of course, rewards can also be money or even royalties from the idea (this last option helps ensure people give good ideas to the company, rather than set up their own companies). Shift 8. Don’t punish people for bad ideas. Even laughing at an idea can seriously de-motivate someone who might have a winning idea tomorrow. Creative people have ideas all the time. Sometimes those ideas stink and sometimes they’re brilliant. But, if you de-motivate creative people, you'll soon lose their ideas. Shift 9. Don't rely too much on research and analysis. These things have their place, indeed, they’re necessary in the twenty-first century. But great ideas usually come from inspiration. Shift 10. Creativity is a long-term investment. ROI won’t be immediate. If your company isn’t creative now, it will take time for management and staff to adopt new ways of thinking, behaving, and producing. Then, once ideas start flowing, they must be implemented. This also takes time. But, over the long term, the pay off can be big. So don't just sit there, go for it! Shift 11. Listen to classical music. Johann Sebastian Bach does it for me. You might prefer Vivaldi, Mozart, or Beethoven. Music is emotional. You like it or you don't. No one likes all kinds of music and that is why there is variety. Same with products, process, people. You can't make everyone happy but if the majority is not happy you can't sell a product or solve a problem. Shift 12. Brainstorm. If properly carried out, brainstorming not only can help you come up with sacks full of new ideas, but it can also help you decide which idea is best. Shift 13. Always carry a small notebook and a pen or pencil, or a tape recorder around with you. That way, if you think of an idea, you can quickly record it. On rereading your notes, you might discover about 90 percent of your ideas aren’t implementable. Don't worry, that's normal. What's important are the 10 percent of your ideas that are brilliant. Shift 14. If you're stuck for an idea, open a dictionary. Randomly select a word, and then try to formulate ideas incorporating this word. You'll be surprised how well this works. The concept is based on a simple, but little-known, truth: freedom inhibits creativity. Restrictions can get you thinking. Shift 15. Depth is how deep can you can disect the problem. Grab a sheet of paper, an electronic notebook, your laptop, or whatever you use to make notes, and define your problem in detail. You'll probably find ideas positively spewing out once you do this. You must spend more time on defining the problem than trying to solve it, however. The first D in 3-D Thinking stands for Depth. Do you understand the problem? Have you defined it properly? Too often, you spend time working on the solution to the wrong problem. Shift 16. If you can't think, take a break. Go for a walk. Swim some laps. Jog around the block. A change of atmosphere is good for you and gentle exercise helps shake up the brain cells. I refer to the process as “incubation.” Your brain is working on the problem, even though you might not consciously be thinking about it. If you think of what’s inside the ”box,” that’s what contains the problem. It’s made up of the components. Reorder them. Move them apart. The answer is often found in the components and it doesn’t require the introduction of new components. Shift 17. How far can you take the solution. D=DISTANCE Experience it. If you like TV and find it simulates your brain, then engage it . Think like the writer or the producer. How did they come with the idea? How did they define the need? Remember, marketing is providing what the consumer wants, not what the factory wants to produce. No matter how good the show is without an understanding of the distance, or number of customers/viewers they can reach it doesn't matter if the show is good or not. Great TV does not exist. It is not designed to be innovative or thought provoking. It is designed to make money. To entertain and sometimes to education. Think outside the box. Is a market here? Will people pay for your solution to the well-defined problem? Is the market large enough to support your innovative concept? Shift 18. Don't take drugs or drink excessive alcohol. People on drugs think they’re creative. To everyone else, they seem like people on drugs. Don’t drink excessively. One glass of wine might have a calming effect, but too much of anything reduces your mental sharpness. Do whatever provides some relaxation. Walk, drink a glass of cabernet, enjoy some chocolate, arrange some flowers, do whatever works for you. Shift 19. Read as much as you can about everything possible. Books exercise your brain, provide inspiration, and fill you with information that enables you to make creative connections easily. Watch the introduction of new products. Think about how you would have created that new product or service. If you’ve thought of the right problem to solve and you’ve come up with the solution, then you need to understand the third D: Determination. How determined are you and your organization to bring this new product or service to your potential consumers? What resources are needed? Have you understood that a market is willing to buy your product or service? Is your product or service unique? Can others see what you’re doing and steal your idea? Have you determined a life cycle of the product? Some products have been around for decades and remain unchanged. Ketchup is a 100-year-old product, yet Heinz has changed the bottle and the color, added spices, and so forth, and increased market penetration and overall sales to new levels. Apple introduced the IPOD, a small digital-recording device that could hold thousands of songs. Then, Apple created Itunes, so the IPOD user could purchase and download individual songs. Today the features of the iPod are in the iPhone. These products have been so successful, Apple created a PC version of the IPOD to satisfy the demand of the larger PC audience. In each case, 3-D Thinking was used. Shift 20. Exercise your brain. Brains, like bodies, need exercise to keep fit. If you don't exercise your brain, it will become flabby and useless. Exercise your brain by reading a lot (as just discussed), talking to clever people, and disagreeing with people. Arguing can be a terrific way to give your brain cells a good workout. But, note, arguing about politics or film directors is good for you, but bickering over who should load the dishwasher isn’t. D=Determination. Are you prepared to take it to the marketplace. Have you investigated the competition? Did you do your homework? Shift 21. Define your problem. (Please note, the word “problem” isn’t necessarily negative. Your problem could be “We need a new product for the holiday season” or “How can we effectively use our budget surplus for this year?”). Write out your problem concisely and make sure everyone understands the problem and is in agreement with the wayit’s worded. Putting a lot of restrictions on your problem at this time is unnecessary. The amount of time required to define a problem is approximately one-half hour to one hour. Using the concept of going inside the box, determine the components of the problem. To understand a problem fully, you must break down all the elements that create it. First, write down the problem. Now, write down the desired solution. Then, break down all the elements contained in the problem that could create it in the first place. 4) Understand how to use the components in the solution of the problem-solving process. Shift 22. Give yourself a time limit. I recommend around 30 minutes, but experience will show how much time is required. Larger groups might need more time to get all the ideas on the table. Shift 23. Shout out solutions to the problem. One person can write out the solutions or enter them into a computer, on a flip chart, and so forth. And, remember: no criticizing of ideas. No matter how off-beat, how impossible, or how silly an idea seems, it must be written down. Laughing should be encouraged, but criticism should not. Why? Because you want to encourage the free flow of ideas and, as soon as participants of the brainstorming session begin to fear criticism of their ideas, they'll stop generating them. Moreover, ideas that seem silly at first might prove to be good or lead to other good ideas. Shift 24. Select the five best ideas. Make sure everyone involved in the brainstorming session is in agreement, but stick to your time limit. Write down about five criteria for judging which ideas best solve your problem. Criteria should start with the word “should”—for example, “it should be cost effective,” “it should be legal,” “it should be possible to finish before August 1,” and so forth. Give each idea a score of 0 to 5 points, depending on how well it meets each criterion. Once all the ideas are scored for each criterion, add the scores. The idea with the highest score will best solve your problem. But keep a record of all your best ideas and their scores, in case your best idea turns out to be unworkable. JIM: What follows here isn’t a conclusion. It’s a whole new theme. Instead of this, please write a concluding paragraph. All these articles should be written just like you would write a speech: introduction, body, and conclusion. Wrap this up by incorporating all you’ve presented in a paragraph or two. For a more in-depth understanding of 3-D Thinking, I recommend our Blended Learning CD-ROM and workbook. To learn more, go to www.3dthinkingers.